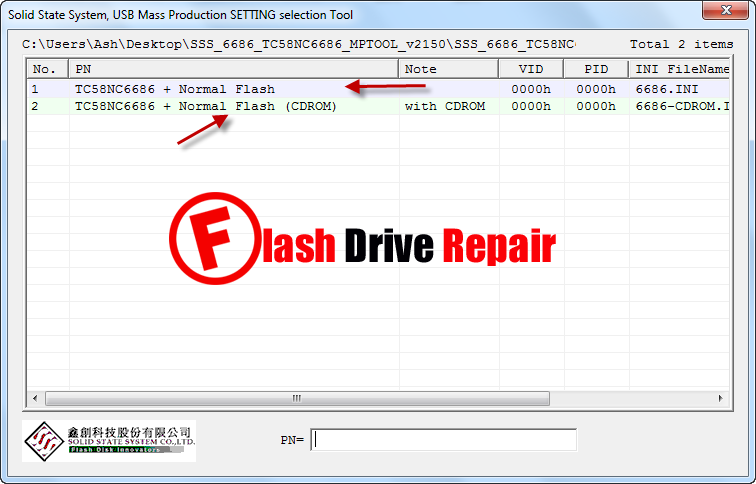 Format corrupted SSS USB flash disk .Download 3S USB Mass Production utility V2.159 to repair Solid State System flash drive controller SSS 6686, SSS6688, SSS6690, SSS6691 and Toshiba TC58NC6688 . 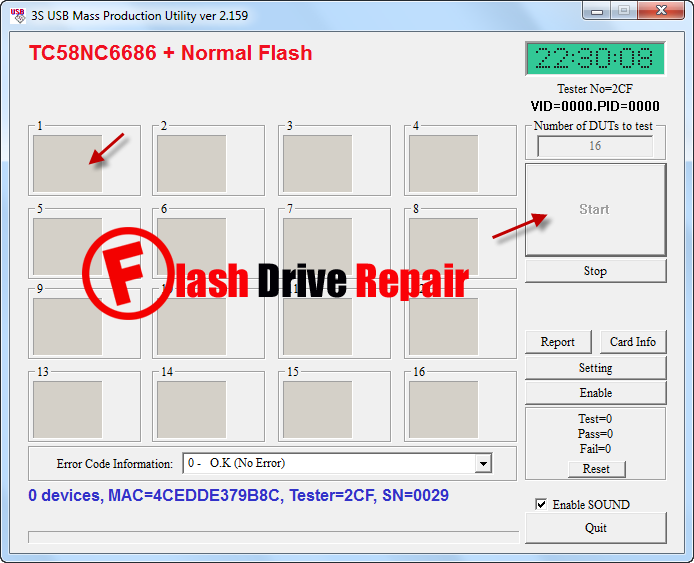 3S USB Mass Production Utility V2.159 is designed to repair and format corrupted Solid State System flash drives that have the following chip controllers "SSS 6686, SSS6688, SSS6690, SSS6691, Toshiba TC58NC6688 " .3S USB Mass Production Utility V2.159 also called TC58NC6686 MPTOOL and it can update SSS chip controller firmware .TC58NC6686 MPTOOL can fix SSS flash drives format errors and restore the original factory settings . You must be sure that your flash drive chip controller is one of the following controllers "SSS 6686, SSS6688, SSS6690, SSS6691, Toshiba TC58NC6688 " to use 3S USB Mass Production Utility V2.159 .You can use Chip genius software to determine your USB flash drive information .Warning all data will be erased during update firmware so you must take a backup if you can . 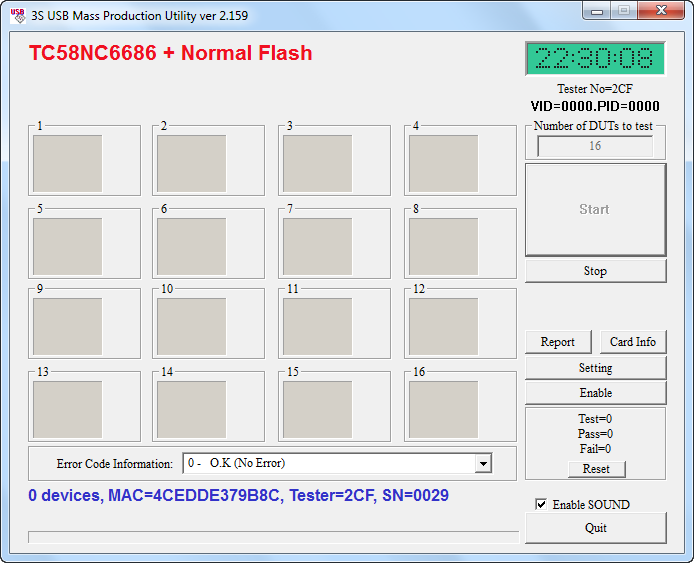 Download 3S USB Mass Production Utility V2.159 from the download links in the bottom of this article . Insert corrupted Solid state system flash disk to your Computer . Open SSS6686 USB Mass Production Utility V2.159 and choose TC58NC6686 (with or without CDROM ) then you will be directed to the main software interface .